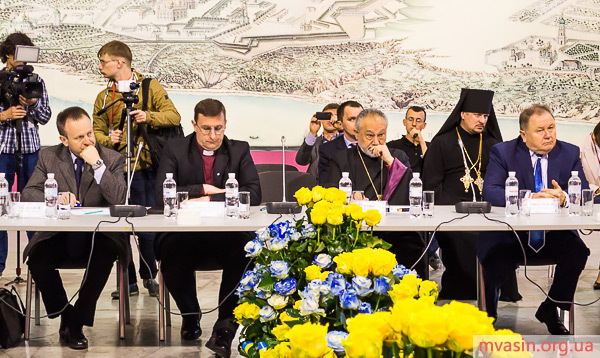 Recently Yulia Tymoshenko has visited the meeting of the Ukrainian Council of Churches and Religious Organizations. Mass media mentioned very little about it, so I try to summarize it up. 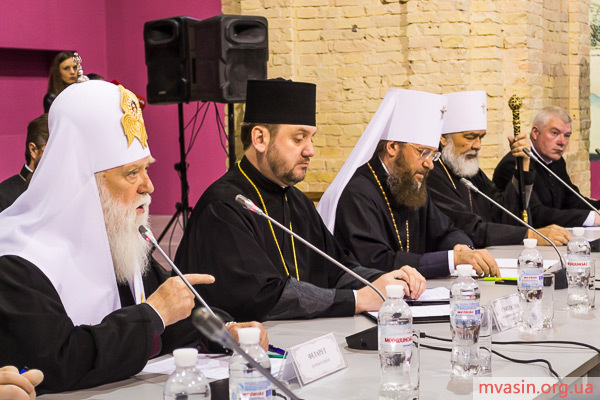 The initiative of the dialogue with the heads of denominations came from Ms Tymoshenko. As is well known, almost every presidential candidate is looking for the possibility to widely present to the society own ideas concerning the solution of Ukrainian-Russian crisis. 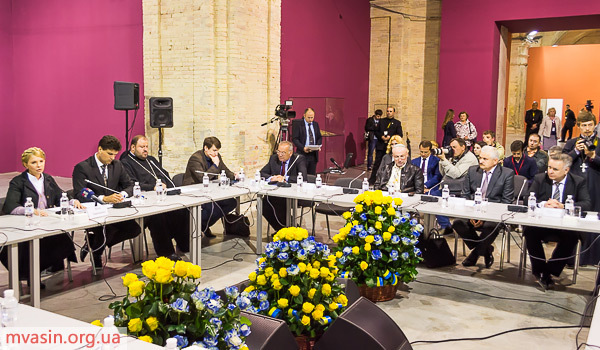 In its turn, the Council of Churches is always open for the dialogue with any constructive political power and with different branches of government, so the invitation was accepted. 1. My whole team, we all will do our best to stop the war in a peaceful way and to return peace to our homes. 2. 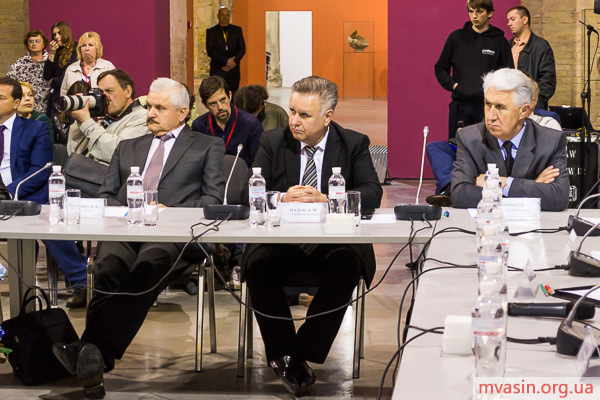 Nobody will wreck the presidential election in Ukraine on the May 25th, 2014. 3. The one, who wins the election, will have the great obligation to the whole country to return justice, to get rid of corruption and the main thing is to return the Crimea to Ukraine. 4. To give more independence to every region of Ukraine without losing controllability of the whole country. No federalization! 5. To hold the referendum, preferably at the same time with the presidential election, about the strategy of Ukraine: 1) membership in the European Union; 2) support of the state unitarity with granting freedom to the local self-governing; 3) the issue of border security – support for non-aligned status or membership in the NATO. She admitted that it’s hard for her to have an impact on the decisions of her party fellows in the leadership of the country – Oleksandr Turchynov and Arseniy Yatsenyuk. Being leaders of the state they act at their own discretion, realizing their responsibility to the society. 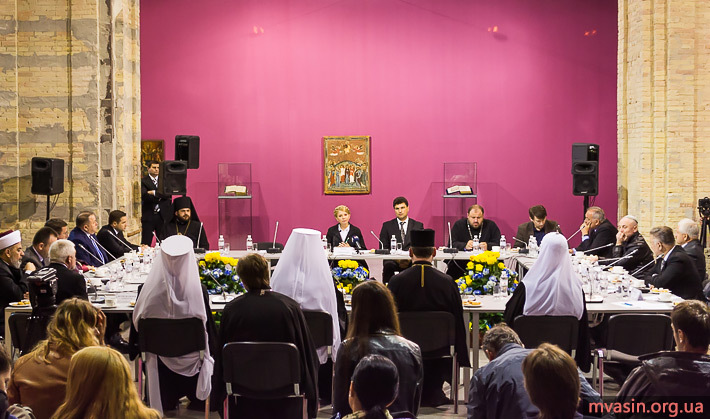 It’s interesting, that Ms Tymoshenko as presidential candidate didn’t mention her past achievements in the religious freedom sphere and didn’t criticize the predecessors from the previous government. She was talking about the changes in the society, in her political party Batkivshchyna, about the urgent matters and the perspectives for Ukraine. I suppose, not least interesting will be to observe the development of the dialogue of other presidential candidates with the representatives of religious communities.